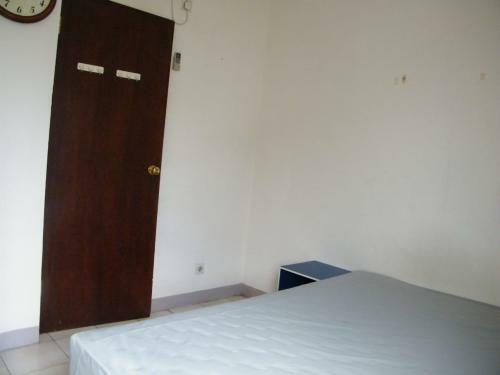 Condition: Full furnished. 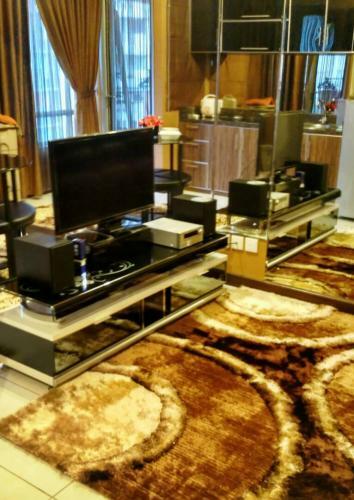 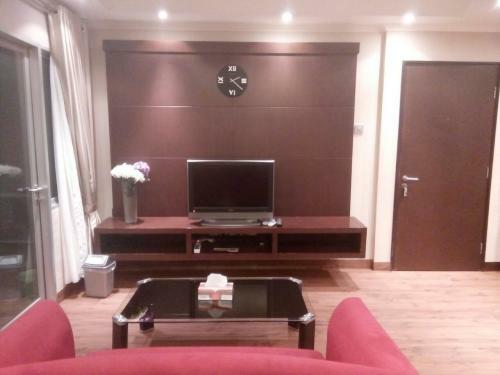 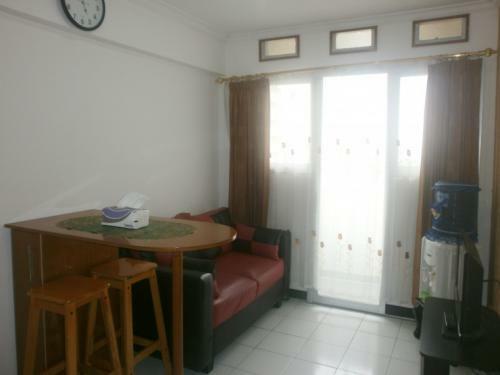 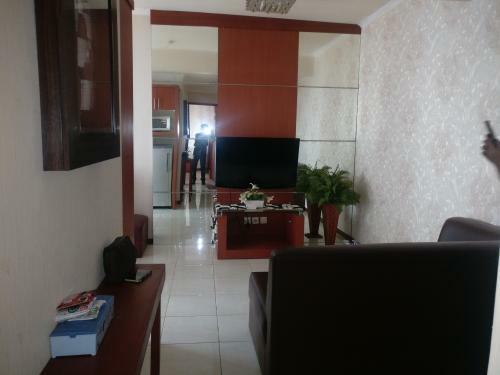 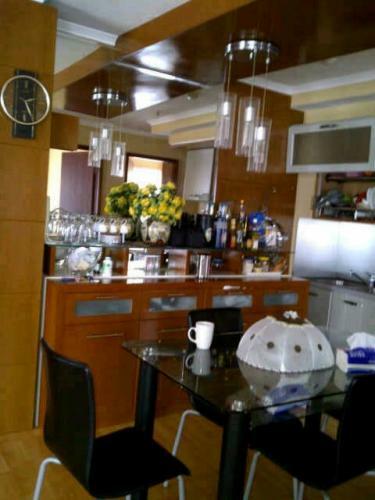 AC, Sofa, LCD TV + TV desk, refrigerator, dispenser, fan, minibar with 2 chairs, kitchen set, stove with 2 burner, gas Elpiji. 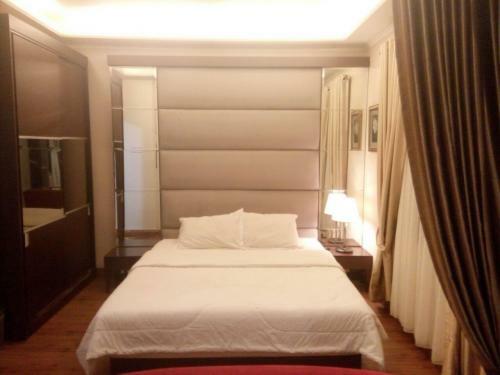 Master bedroom Queen Size 160×200 and wardrobe with curtain. 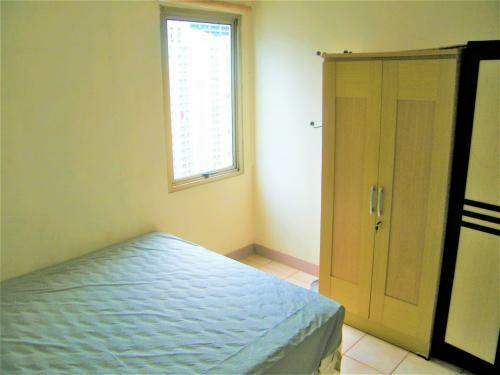 Second bedroom single size with double matrass sliding upper and below and wardrobe. 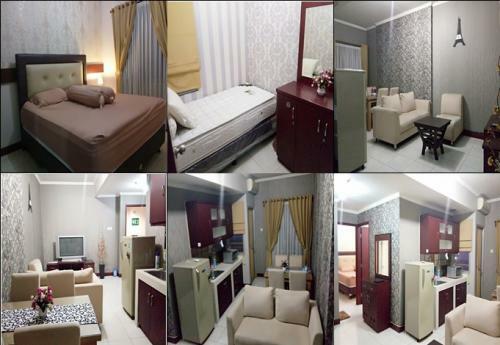 Facility: Security 24-hours, Swimming Pool, Playground, Parking Area, 24-hours Minimarket (Star Mart, Indomaret, Alfa Mart), Access Card, CCTV, Shuttle Bus to Mall Buaran, Salon, Reflexy, Canteen. 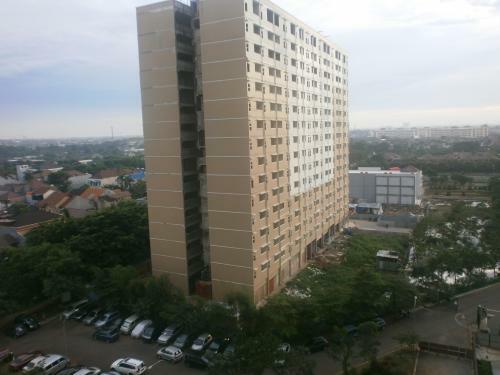 Additional Info: Access Tol Bintara JORR TB Simatupang 900 meter, Stasiun Cakung 700 meter, Terminal Pulo Gebang 300 meter, Halte Bus Way dan Kantor Walikota JakTim 800 meter, Sekolah Al-Azhar 800 meter, Will Be Open Soon New Tol Gate Only 200 meter from Apartment Gate, Rumah Sakit Islam Pondok Kopi 1,5 Km, Near to Some Malls such as Giant, Carefour, Buaran Plaza. 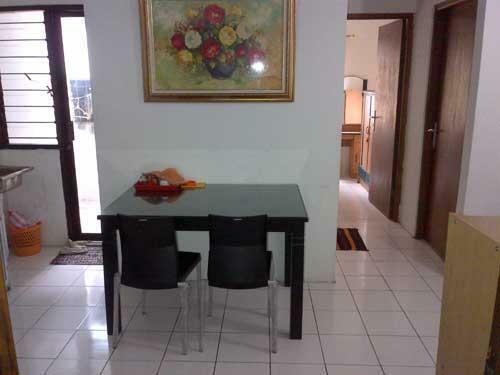 Selling Price: Rp 375.000.000 (negotiable). 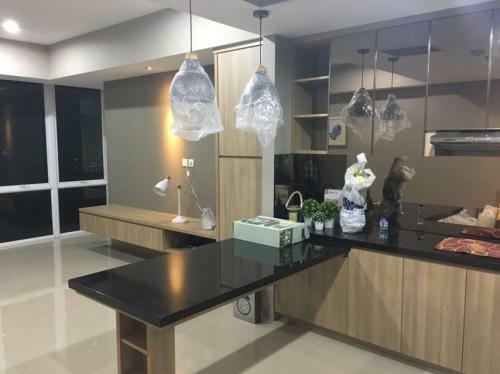 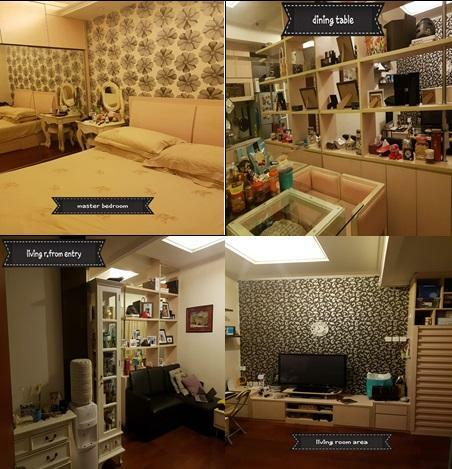 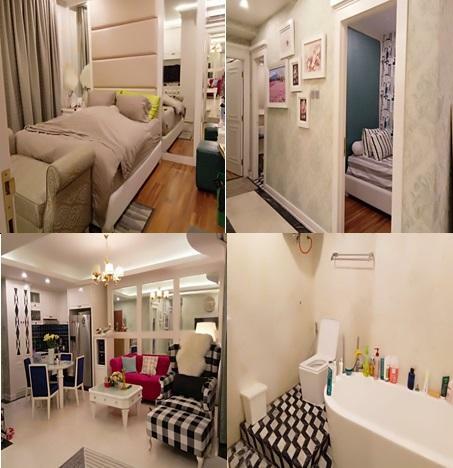 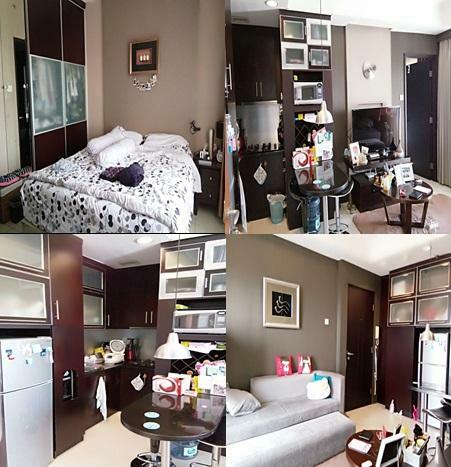 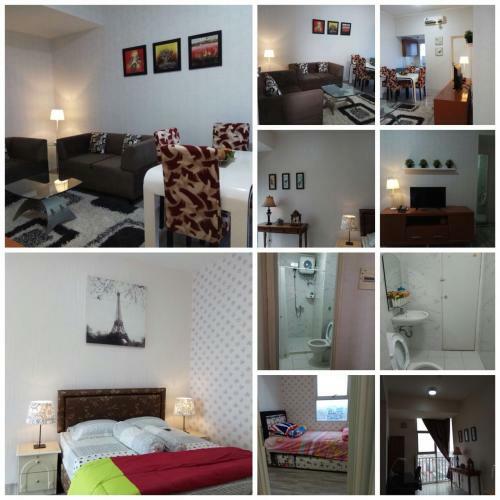 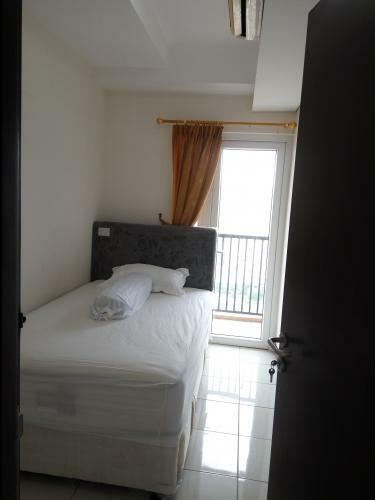 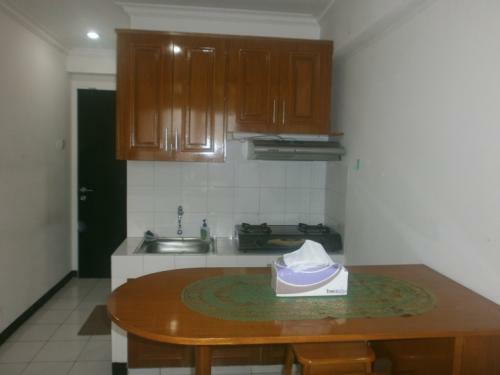 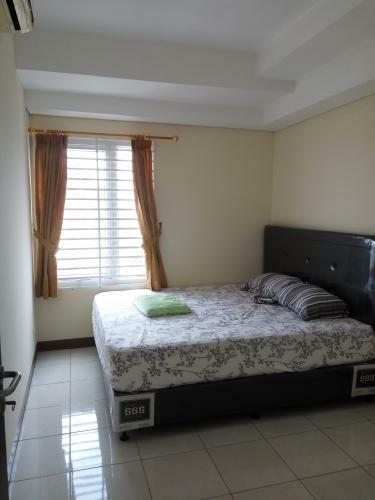 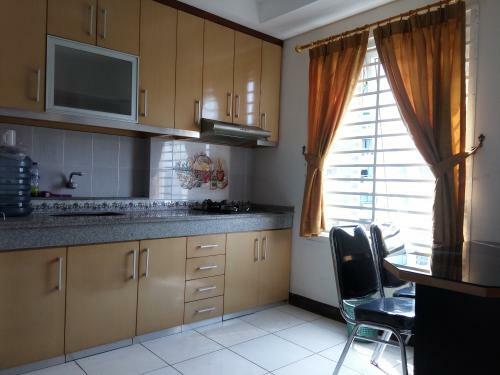 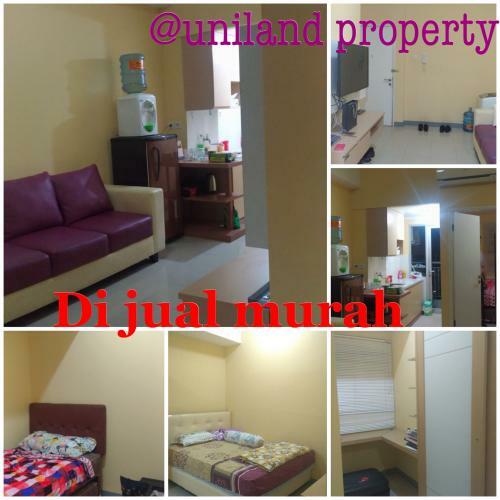 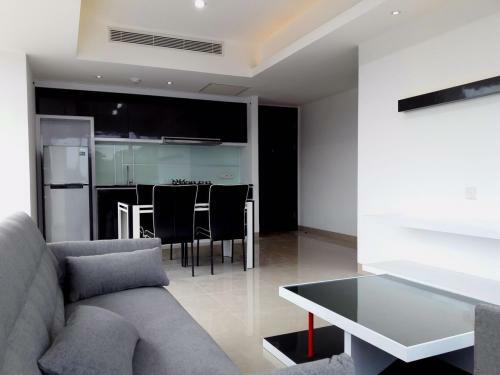 Harga pasaran unfurnished 400 jutaan. 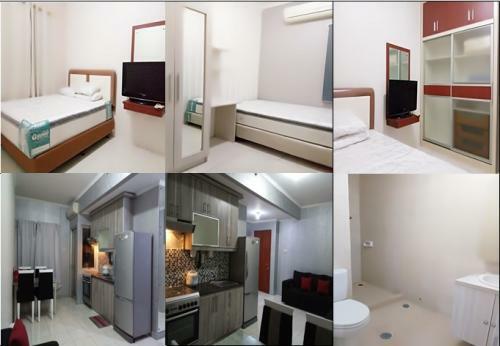 Additional Info: Located in the heart of city of Jakarta (only 150 M from Bundaran H.I).Walking distance to shopping Mall and local market such as Plaza Indonesia (5 minutes),Grand Indonesia, Hotel Indonesia, offices area at Sudirman Street, Tanah Abang market.Strategic location for business area Sudirman, Thamrin, Rasuna Said, Kuningan.Its ideal for cozy and comfort place. 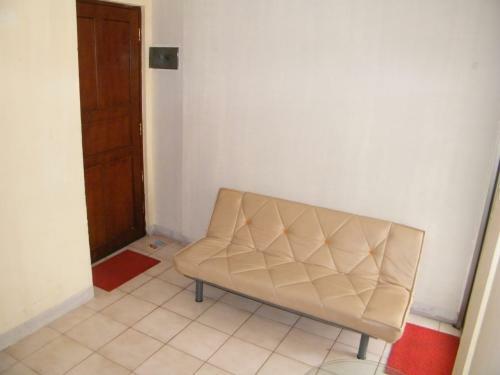 Location: Jl. 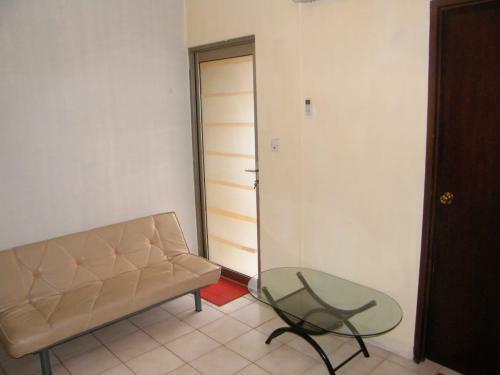 Latumenten No. 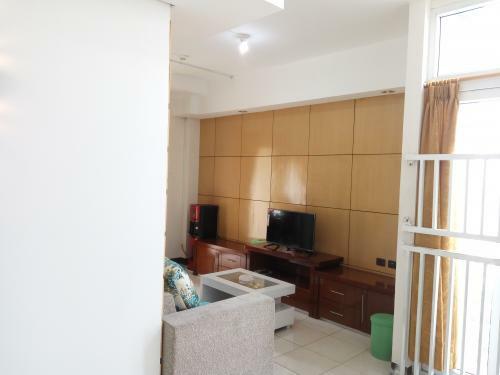 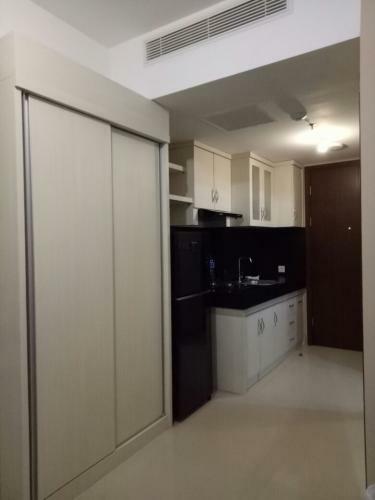 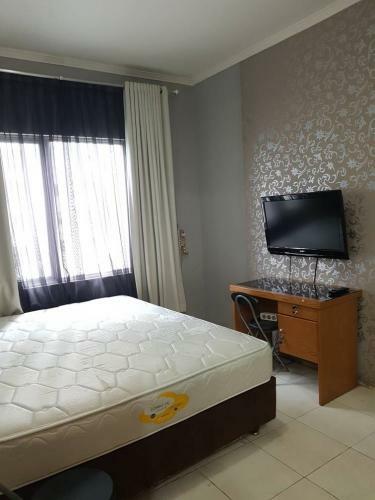 33, Grogol, Jakarta Barat. 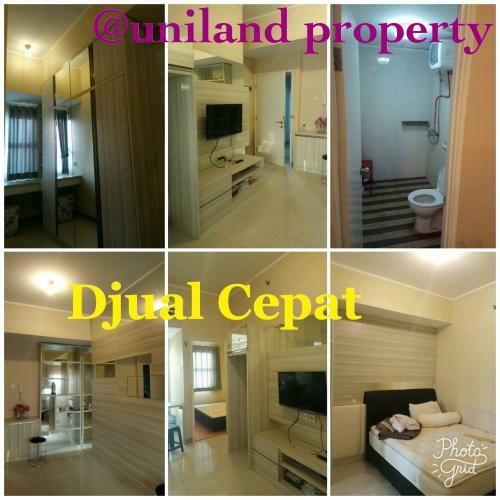 Condition Semi Furnished: AC,lemari, hordeng lengkap, water heater, dll. 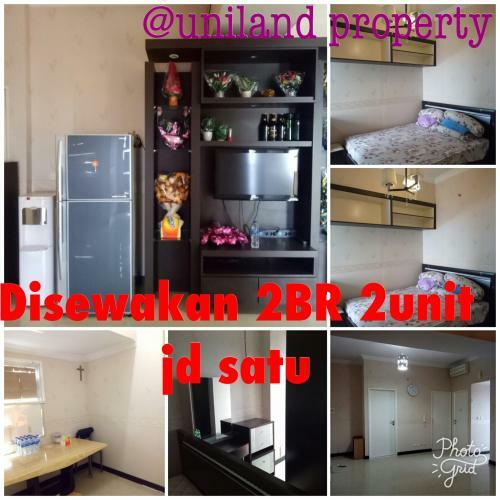 Condition Full Furnished: Lengkap dengan kitchen set, AC ,TV, ranjang, lemari, kulkas, sofa, hordeng lengkap, water heater, dll. 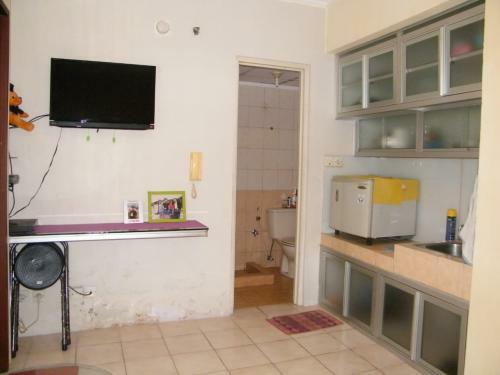 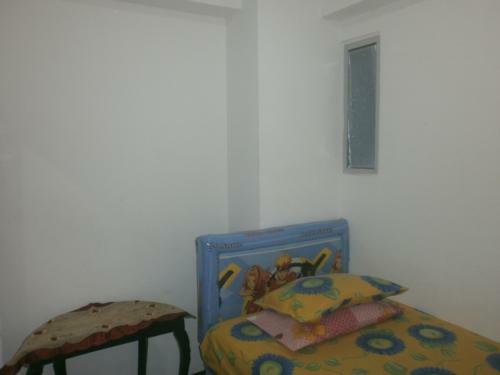 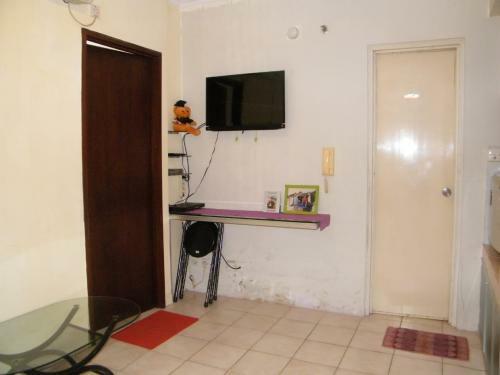 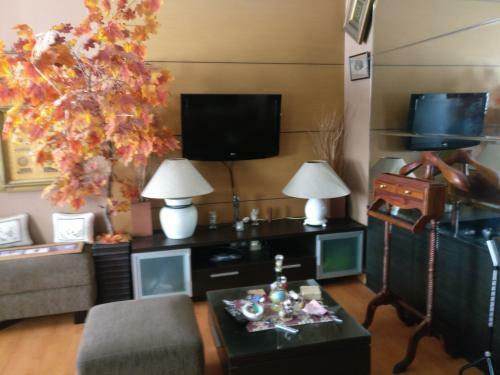 Condition: Bersih, Aman, Nyaman, Fully furnished, 3 AC, memiliki 2 balkon. 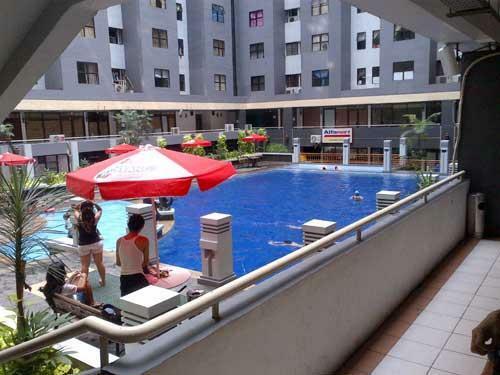 Facility: Kolam Renang, Security, Parkir, dll. 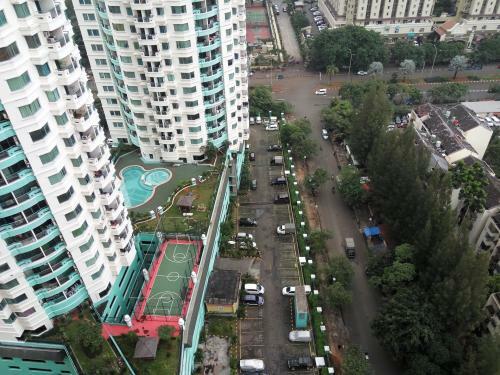 Additional Info: Terletak di sudut gedung, memiliki 2 balkon dan view yang luas. 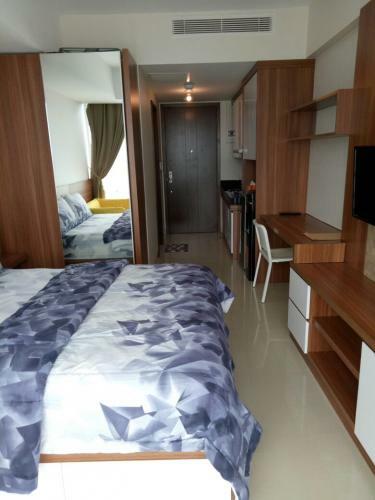 Additional Info: Apartemen U Residences dengan konsep Hotel Bintang 5 yang terletak di jantungnya Lippo Karawaci, good investasi, hunian nyaman dan aman. 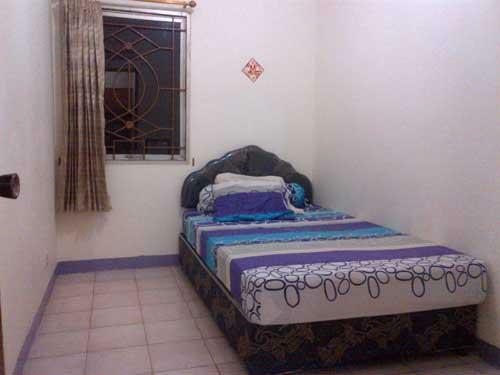 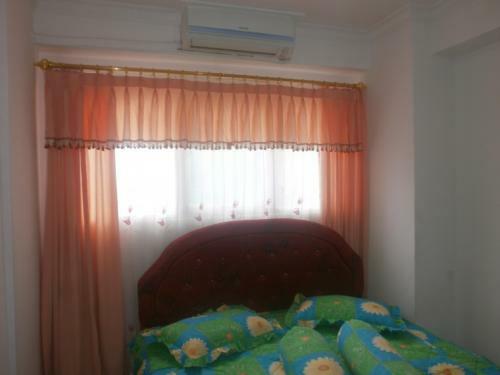 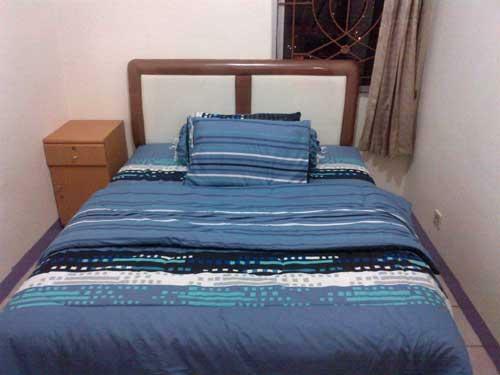 Master Bedroom: Bed ukuran double, sprei + bedcover, AC, lemari. 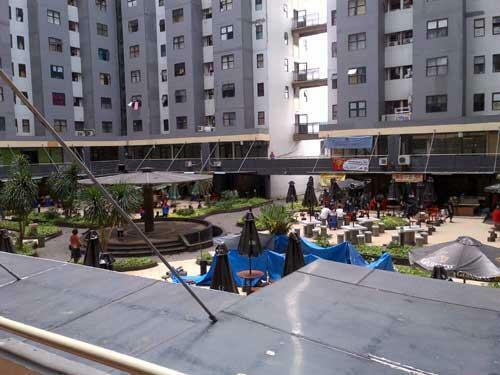 Big shopping Malls can also be reached easily e.g. 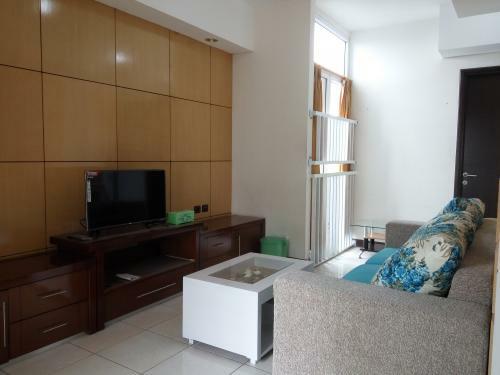 Citywalk, Ambassador Mall, Plaza Semanggi, Grand Indonesia and Plaza. 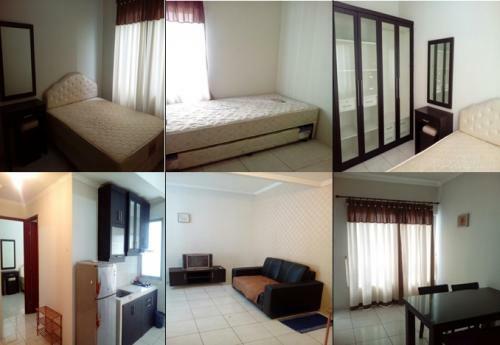 Additional Info: Dekat Rumah Sakit Pluit, Rumah Sakit Atmajaya, pompa bensin, Pluit Junction, Mall Emporium. 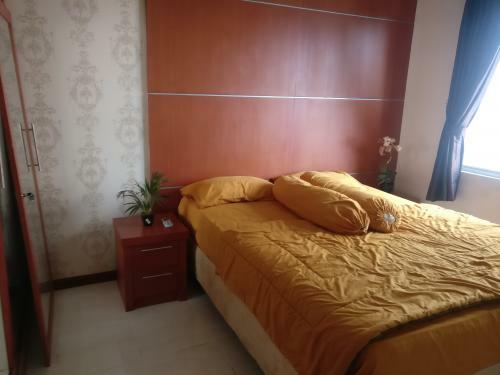 Facility: Swimming pool, jacuzzi, sauna, gym, games room, reading room, main lobby, tower lobby, 8 elevators per tower, 24-hour security, parking, ATMs, children playground, kindergarden (paud), restaurants, mini markets, banks, access card, etc. 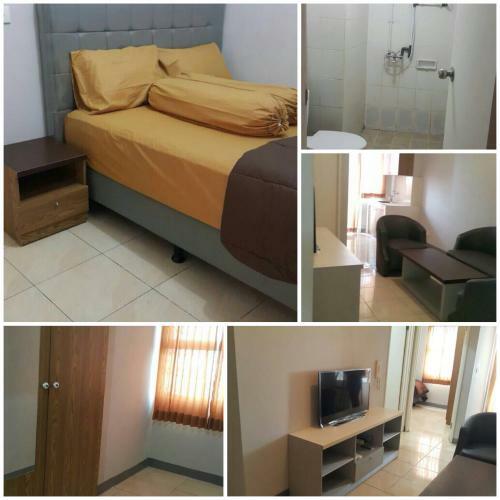 Additional Info: Strategically located Suitable for working man/woman (as its only few minutes away from Sudirman, Kuningan, Mega Kuningan and Gatot Subroto area) As well as for University student (as there are some Universities nearby e.g. 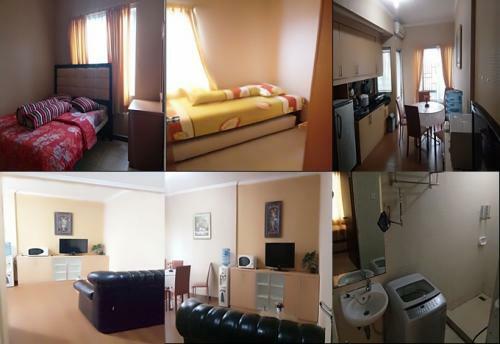 London School, Atmajaya, etc) Big shopping Malls can also be reached easily e.g. 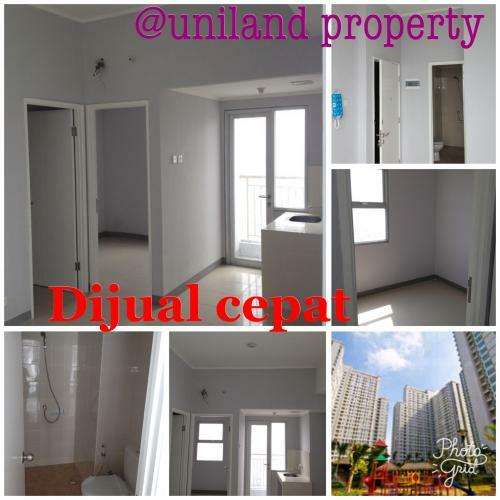 Citywalk, Ambassador Mall, Plaza Semanggi, Grand Indonesia and Plaza.